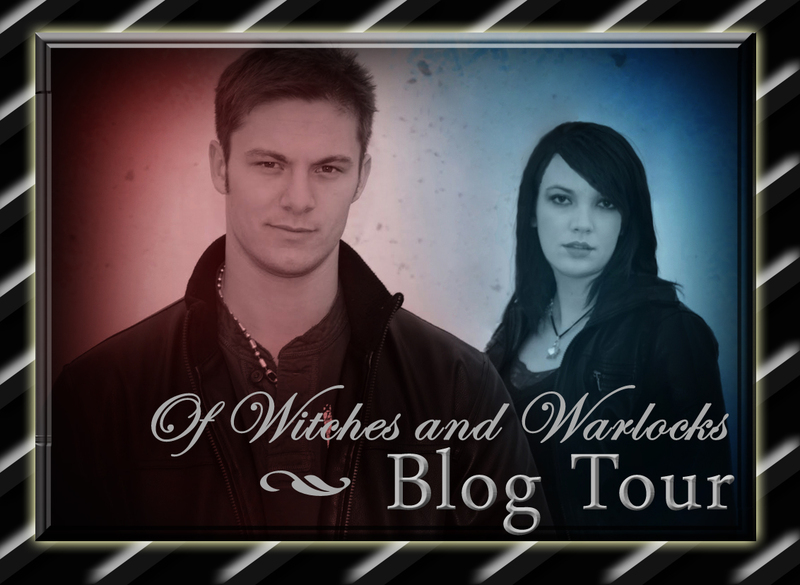 The Of Witches and Warlocks: The Trouble with Spells Blog Tour is finally here. Thanks to all of you who joined us for the kick off giveaway! Now join us on the 30 Days/30 Blogs marathon tour! There will be reviews, guest posts, interviews, book excerpts, plus chatting with the author and host bloggers! Follow the tour from day to day and you will have the opportunity to win a free Kindle! The Grand Prize winner will be announced right here on April 24th! So come and have some fun with us! The links for the tour can be found in two places. On The Delusional Diaries or on The Bookish Snob Promotions. Hope to see you there!! 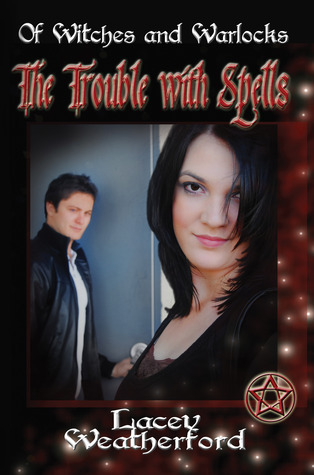 Celebrate the release of the 2nd edition of The Trouble With Spells! We are offering a chance for you to get your own copy of ebook for FREE with this promotional coupon. The ebook is available in all e-reader formats, or even on your computer! 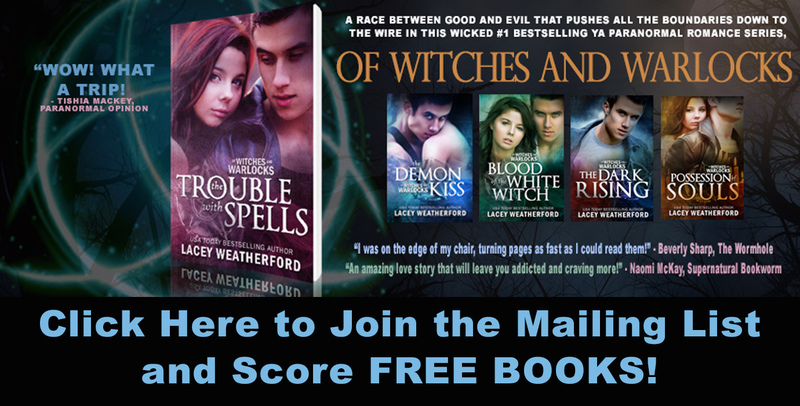 Just follow the instructions listed in the coupon and enter the code to get your free copy! Hurry though! The book is only free until April 9, 2010! For those of you wanting print copies, those will be available for purchase March 21st! You can enter the Goodreads First Reads Giveaway to try to win one of two copies by clicking on the gadget below! Happy Reading! Giveaway ends April 24, 2011. In celebration of the release of the second edition of The Trouble With Spells, we thought we would give you a sneak peak at the book. Here's your chance to read the new prologue! I was sitting under a tree at my new school during lunch trying to avoid the silly giggles and laughter from the endless parade of idiotic girls who were trying to catch my attention. Pretending to be oblivious seemed to work best for me, so I focused on pulling random blades of grass out of the ground while I bit into the apple I had in my hand. It's not like I wasn't interested in the girls, I definitely was. I was just tired of not ever being able to really get to know the ones I liked before I had to move to a new place again. I already missed the girl I'd been hanging around with at the school I'd just left. Amber was amazing, and she could kiss like … well, there's just no point in thinking about her kisses anymore because I would never be experiencing them again. I hated running. I despised constantly looking over my shoulder for him to reappear, always getting so close to finding us. It was totally messing up my life. While I was already sixteen, I was only a sophomore right now. I should've been a junior, but being on the run and having to go into hiding for a while had put me a year behind in school. Hopefully this time would be different. I didn't know if I had the same faith in this new coven that my Aunt Marsha did. She seemed to think they might be able to help protect us better than we'd been able to protect ourselves lately. I guess deep down I really hoped they could because I was just so tired of running. I took another bite of my apple while focusing on the doors to the school, successfully redirecting my gaze away from the group of girls who were twittering together off to my left. That's when I saw her. She stepped out the door, walking next to some other girl, but my attention was instantly riveted on her because suddenly every emotion she was feeling at that moment washed over me. I sucked in my breath, having never experienced anything quite like this before. This girl was different. She was magical. Literally. 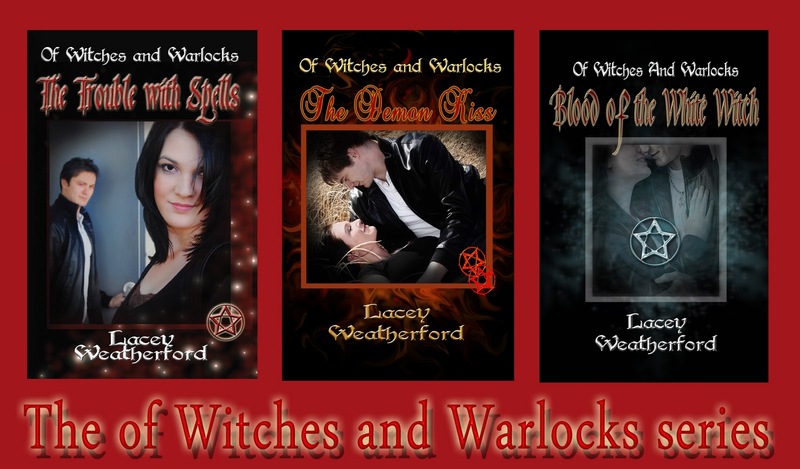 The warlock inside me lifted his head in curious admiration. She was young, probably only a freshman I'd guess, but she was beautiful in a totally understated way. I was instantly drawn to her, and I glanced over her small, petite form as she moved toward the cafeteria. A light breeze caught her black hair, stirring it slightly away from her face, and she smiled then at her friend. The current carried her laughter to me on the air, and it was musical. She was … content, happy, secure, and amused at whatever her friend was talking to her about. She was everything I was not, and I knew in that moment I had to know who she was. I turned my head back toward the girl, but not in time to miss the crestfallen look on this one's face before she lifted her head to follow my line of sight. “Who? The blonde?” she asked icily. “No. The one with the black hair,” I replied, not taking my eyes off her while she walked. “Her?” the girl replied with an incredulous tone in her voice, and I did turn back to look at her then, narrowing my eyes at her cynically. She shrank back from me for a second before squaring her shoulders and flipping her hair with one of her hands. “That's Portia Mullins,” she replied, turning away from me to whisper with her friends again. Portia Mullins. Oh, the irony. I knew exactly who she was. She was the underage daughter of my new benefactor who had sworn to help protect me. She was the girl I'd been instructed not to interact with because she had no idea she was a witch or that her family was part of a magical coven. I wasn't to have any contact with her until she turned sixteen years old and found out her true heritage. That was when she would be inducted into her coven. My coven. The coven I'd willingly bound myself to and could not betray. She lifted her head and looked right at me, and I had to fight for control while I turned my eyes away from her with what I hoped was a bored, uninterested glance. But my heart raced slightly when I felt her emotions again, her pulse picking up at the sight of me. She felt … intrigued, perhaps even attracted, but that was immediately replaced by deflation. She didn't feel worthy of my notice. If she only knew. Portia and her friend entered the cafeteria, and even though she was gone from my sight, I could still feel her. Unexpectedly, I became very angry. I'd found a person I'd connected with on a level I had never experienced with another living being, and I couldn't even get to know her. I suddenly felt the need to punch something. I stood up and strode across the parking lot to where I'd left my motorcycle, knowing full well I was going to get in trouble for ditching on only my second day of school here, but I didn’t care. I did know one thing though. I was determined to stay in this place now because one way or another, I was going to get to know Portia Mullins … even if it got me killed. Stay tuned for the Blog Tour Extravaganza, which will kick off on March 17 with at MASSIVE GIVEAWAY on The Delusional Diaries Home Page! More details to come! You won't want to miss this one! Blog Tour Presented By The Bookish Snob Promotions. If you would like to be a participant in this tour/extravaganza please click the link for more information. 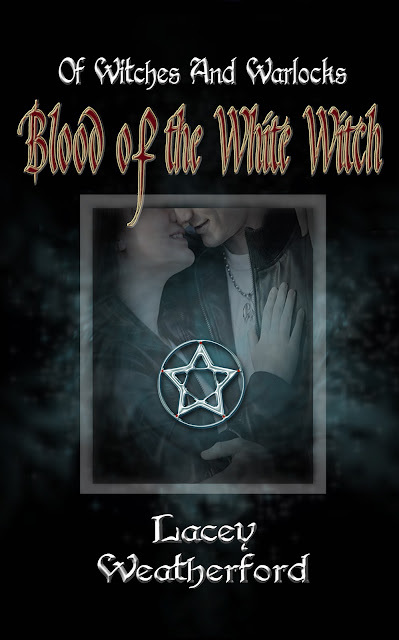 We are VERY excited to tell you that book three in the Of Witches and Warlocks series, Blood of the White Witch has been nominated for Best Young Adult Romance Novel of 2010! We would like to thank The Romance Reviews for recognizing this book and placing it on the list with 10 other very worthy contenders! If you would like to see the top romance books of 2010 then please feel free to follow this link over to their site. The Romance Reviews has a great lounge, contests and many reviews going on where you can visit with lots of other authors and readers with your same interests. So go have fun, and don't forget to vote for Blood of the White Witch while you are there!! 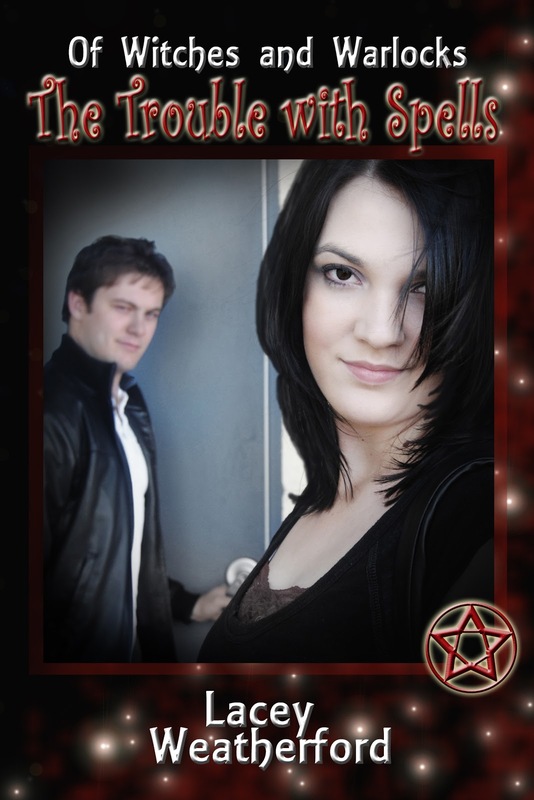 Also, be sure to keep your eye out for the release of the new edition of book one, The Trouble with Spells, this month! We have lots of good things planned for that too!